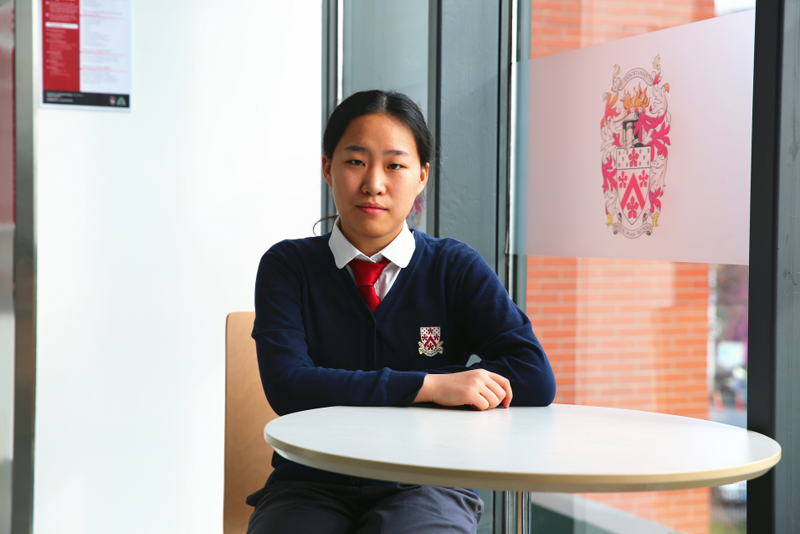 Calm and composed, Rose T. is a 13th grade student at Dulwich International High School Suzhou. While other students are still anxiously awaiting their admission notices, she has already secured her first choice place at Emory University with an ED admission. ED is the English abbreviation of Early Decision. It is a way to apply for a US university where the school decides to accept early applicants. Unlike ordinary applications, a student can only choose one school for an ED application. If accepted, they have to accept the offer and withdraw any other applications submitted to other schools. Therefore, students choosing to apply for ED normally opt to do so with their first choice institution. Rose has now withdrawn applications from more than 10 other universities, including the University of California at Berkeley, Carnegie Mellon University, Imperial College London, and University College London. Rose chose Emory University as her first choice for several reasons. First, because the school is located in a big city in southern United States, Atlanta and the climate is warm. As the largest city in the South, Atlanta will provide students with many internships and employment opportunities. In addition, Rose also participated in the Biology Summer School at Emory University, where the small class sizes with a lot of classroom interaction is very similar to Dulwich which she enjoys very much. Emory University, founded in1836, is one of the top private research universities in the United States. It is one of the 25 colleges in the United States known collectively as the “New Ivy League”. It is an American small elite class undergraduate school referred to as the “Harvard of the South” and has produced 24 Rhodes scholars (known as the "Global Undergraduate Nobel Prize"). It is ranked 21st in the 2019 US News National University Rankings. Emory's undergraduate admission competition is fierce, with an undergraduate admission rate of 18.5% in 2018. The ratio of teachers and students in the school is as high as 1:7. The professor gives the students a lot of attention and one to one communication. Former US President Jimmy Carter is an honorary professor of the school, and he gives a speech every year and personally answers the questions. Rose's favorite courses at Dulwich are Mathematics, Biology and Chemistry. She has received the UKMT Gold Award from the British Mathematical Society Competition and the EUCLID (Canada) Excellence Award (Edin). Some of her favorite teachers are: Mr. Crozier (head of Maths), who really pays attention to teaching. Instead of simply answering questions, he guides the way that students think. Under his guidance, Rose has seen her mathematics scores steadily improve. Her Biology teacher Mr. Smith, teaches very clearly and he would organize students to practice before the exam. Her chemistry teacher Mr. Lam emphasizes practical work and encourages students to learn. Rose's own learning experience is to review the book before solving any questions. It is not important to practice a lot of questions. The most important thing is to summarize and understand. When you encounter problems, you should communicate with the classmates and find different solutions. Inspired by her love of biology, Rose wrote a CRQ (Cambridge Research Qualification) Research paper. The topic was “cloning people's influence on society” and Rose’s 5,000 words won the highest distinction award. Her paper explores the topic of cloning techniques and human ethics. To develop practical experience she enrolled in the biological experiment project at the Cold Spring Harbor Asian DNA Learning Center. Here she was able to work with DNA and develop her observation and analytical skills. In addition to the biological project, she also participated in the ID Tech programming project at Princeton University. She chose this purely as a hobby, as she realized that programming skills may be necessary for everyone in the future. Rose T. is an independent, strong-willed person who dares to try. She came from Shijiazhuang, Hebei (NorthernChina) to Dulwich International High School Suzhou. She bought a train ticket and went to Suzhou to study all by herself. During her time at school, she completed the Silver Medal of the Duke of Edinburgh Award and cycled 100km around Qiandao Lake. She thought of giving up on the way, but persisted with the encouragement of teammates. She dared to try, took the initiative to speak in English class, and was selected to speak in front of all of the teachers in the school, where she explained the positive and negative sides of a topic with a team of four classmates. Rose, who was in high school in Shijiazhuang, decided to come to Dulwich because of the pure Western-style teaching environment, the high proportion of foreign teachers (90%), and the colorful campus activities. She not only has excellent academic performance, but also actively participates in various activities. She is a member of the school's netball team and volleyball team; she has volunteered as a school librarian, labeling books for students to borrow; doing charity activities, going to Pingjiang Hospital as a volunteer, maintaining order and helping the elderly to use the hospital facilities. Rose's independent and strong personality comes from the careful training of her parents. Her Parents don't give her too much pressure to learn, but they encourage her to do things on her own. When applying to the university her parents suggested that she choose a big city, so there are more opportunities and her parents respect her when it comes to choosing major, as long as she likes it. 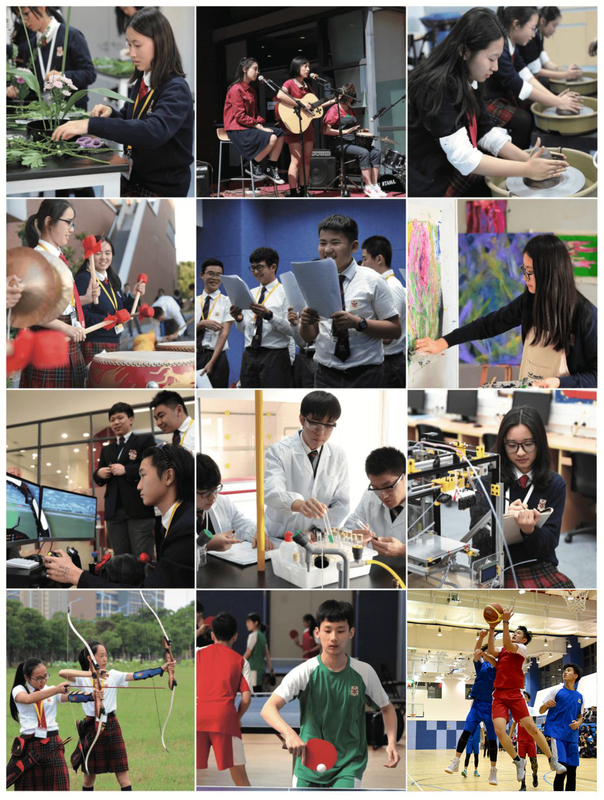 The Dulwich International High School Suzhou’s approach and philosophy concerning university is to equip students to graduate from our school and then attend and graduate from the “Best fit” university. Best fit is a practice of assisting each individual student to select the university that will best develop that specific student’s academic performance, personal attributes and career goals. Our graduating class of 2019 comprises of 97 students. By the end of 11th January 2019, they have received a total of 159 offers. The 159 offers include: 35 offers from the USA, 114 offers from the UK, 9 in Canada and 1 in Japan. 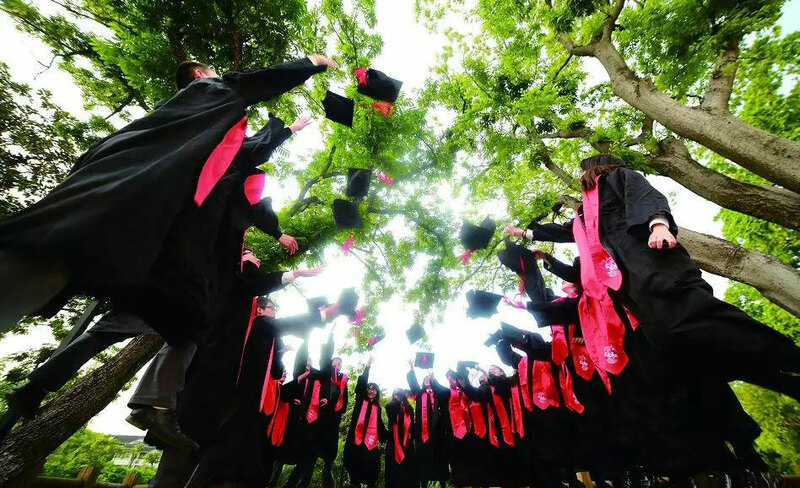 Forty-two offers or 26% are from the World’s Top 100 universities. They have received an accumulated scholarship of 520,000 USD. More offers will be published in April. Seven USA offers are Early Decision acceptances: Wesleyan University, North-eastern University, The George Washington University, Davidson College, Emory University, Rensselaer Polytechnic Institute and Virginia Polytechnic Institute and State University (Virginia Tech). 22 offers were early action offers and include University of Wisconsin Madison and University of Illinois at Urbana-Champaign, as well as University of Pittsburgh. Among all the offers from American universities, 18 or 51% are in USA Top 50. It is very early for USA decisions to be available, as the majority are not available until April. Ninety-four UK conditional offers are to 22 Russell Group universities including The University of Manchester, The University of Warwick, University of York, University College London, and Bristol University. 49 or 43% of the UK offers are from universities within the UK’s Top 25 universities. Oxbridge results will be release in the next several weeks. Nine offers are to Canada and include Carleton University, McGill University and University of Ottawa. Among all the offers from Canadian universities, six or 67% are in Canada’s Top 25 universities, and 4 or 33% are in the Top 50. One offer is to Japan, Waseda University. 100% of offers are in Top 25 of Japan universities.